You may have noticed that AT&T and T-Mobile are in a bit of a spat at the moment. 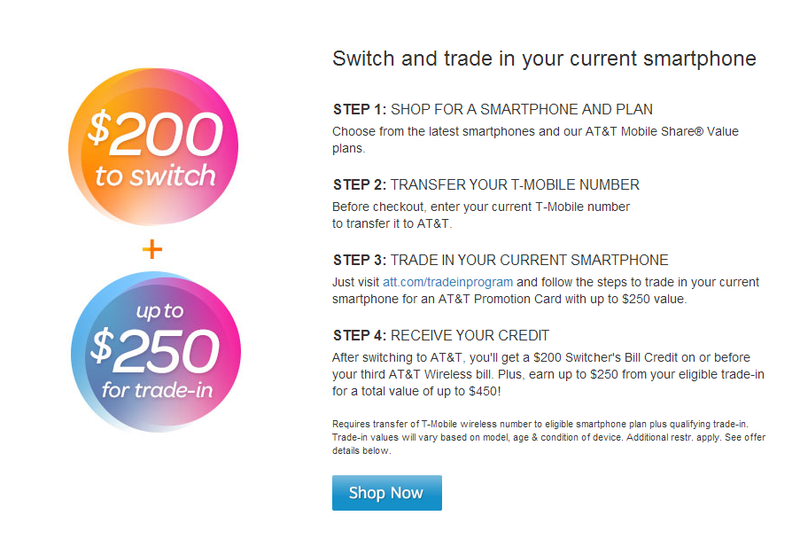 T-Mobile offers early upgrades with no-contract financing plans, and AT&T does the same a few weeks later. 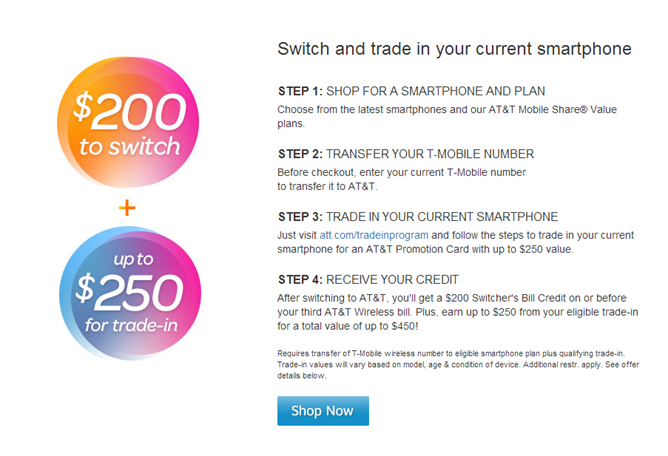 T-Mo woos people with credits towards early termination fees, AT&T gives a whopping $450 of credit ($250 for trading in a T-Mo phone, $200 for transferring service) to former T-Mobile customers. But it looks like the gravy train has run out of fuel - CNET reports that the promotion is over. That deal lasted less than a month after the CES announcement. AT&T isn't offering any reasons as to why the discount program has ended, but I don't suppose it needed one beyond "it was really expensive to buy all those customers." AT&T is generally more expensive on a per-month basis, so T-Mobile customers probably weren't saving much (if any) over the course of a two-year contract. And since T-Mobile is still offering its early termination fee credit, there's nothing preventing those who jumped from contract-free T-Mobile service to AT&T from jumping right back. With T-Mobile's continued Scrappy-Doo attitude towards AT&T, this will certainly not be the last time that the two networks go toe-to-toe while fighting over customers. If only they were both so vigorous when it comes to expanding service to rural areas.